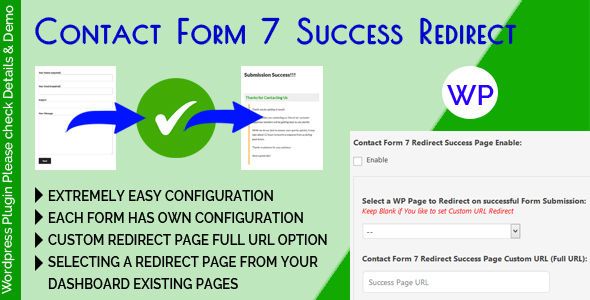 Contact Form 7 Success Redirect is a WordPress Contact Form 7 Addon for Redirecting to a page on Success Submission. 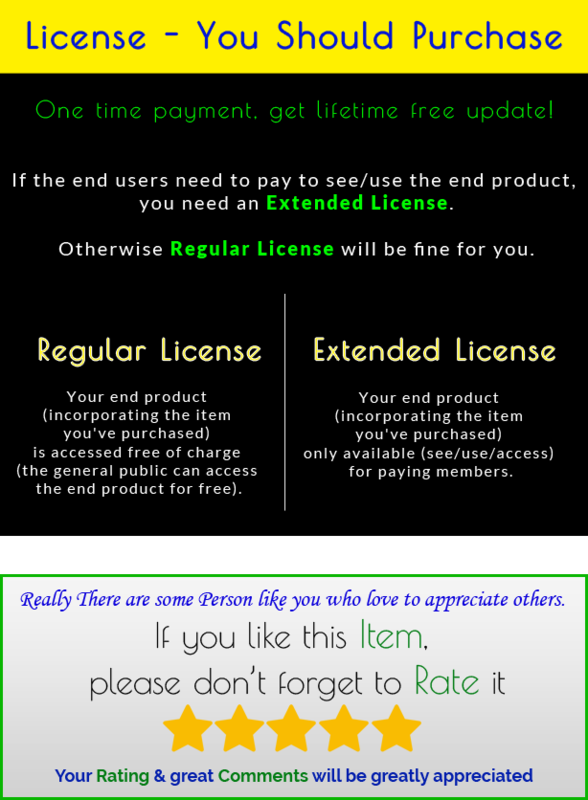 It has designed to make the Contact Form 7 Form more user friendly when Form Submission Success by redirecting to admin chosen page. Contact Form 7 Success Redirect is Extremely easy Configurable. 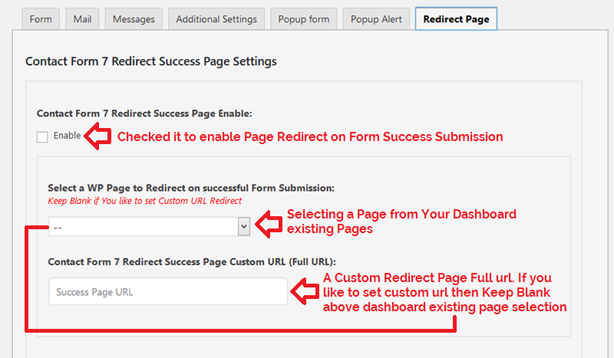 You can configure the Success Redirect page by selecting a page from your Dashboard existing pages or by providing a custom redirect page full url. Each Form Has Own Configuration. So, Each Contact Form 7 Success Redirect Can be set Uniquely.